For photographers, bloggers and just about anyone with a camera, flickr has been a reliable, helpful photo-sharing service for over a decade. The platform, formerly owned by Yahoo has become known for their ease of use and awesome creative commons image collection that helps publishers find free, attributable images for articles and helps photographers get their work seen by millions. 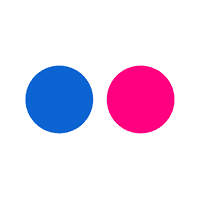 Much like its parent company, flickr is keeps their stats pretty quiet. I have been searching for years now for enough flickr stats to create a full post around and it took their 10 year birthday announcement to give me a few stats worth posting. So here you go; this is what I have been able to dig up for flickr stats so far. As always, I will be adding more when/if they become available.